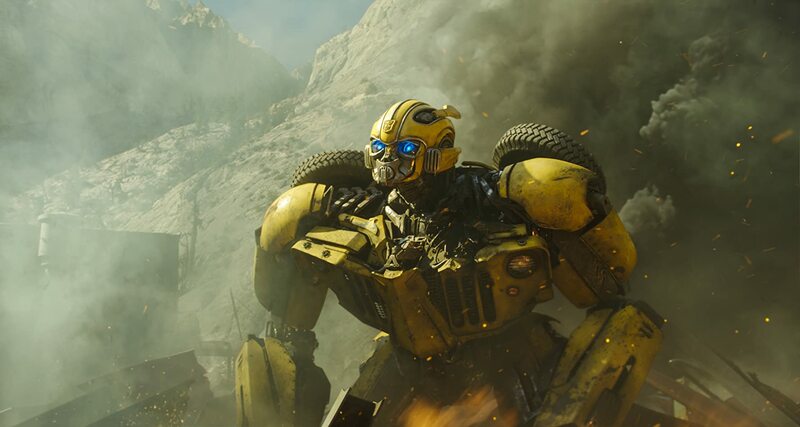 Colourful, fun and simple, Bumblebee is a rather fun time drawing on nostalgic elements of the 80’s and the over the top nature of the Transformers franchise. With great effects, action scenes and characters there’s a lot to like here and represents a remarkable improvement following the Bay saga. 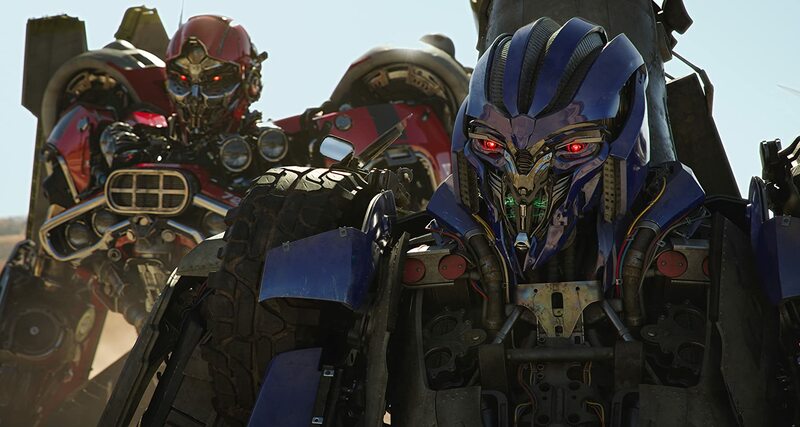 Emerging from his origins of animation Travis Knight directs his first full length live action feature film with Bumblebee. 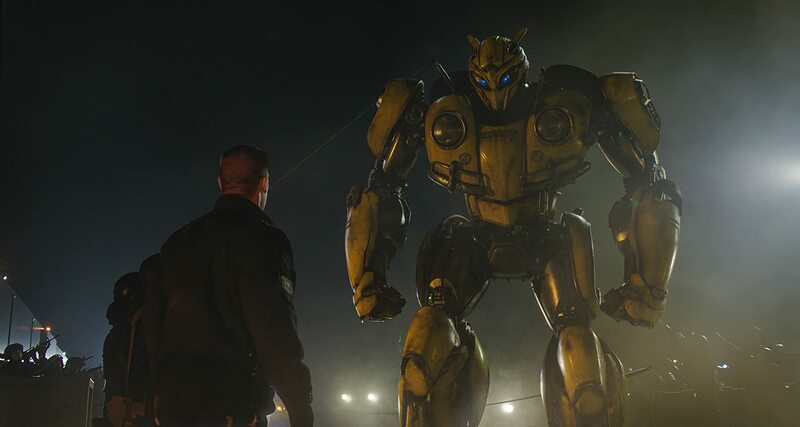 Following a series of quite terrible films, Bumblebee soft reboots the franchise and erases the majority of the traits and tropes that were left behind from Michael Bay’s legacy. It’s no question, Bumblebee is the best entry into the franchise. It may be a play by numbers action movie but all those numbers are well crafted and well balanced. 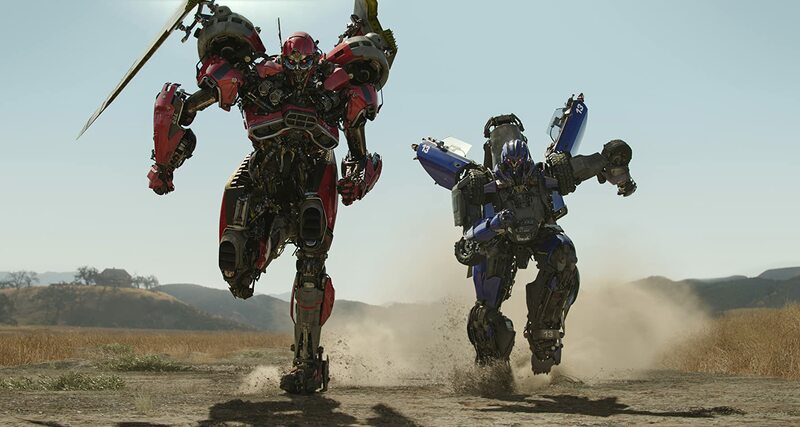 It is a fantastic thing to finally see a good live action Transformers movie even if it’s not going to blow you away. Knight’s experience in animation really shines through with Bumblebee. Effects wise the film is rather excellent. Gone are the giant jagged edged grey robots that have no semblance of their vehicle forms on their person and they are replaced by colourful and rounded forms that fit much better with the overall tone of Transformers. It’s not quite how they looked in the 80’s, nor is trying to go all the way in that case but it is refreshing to be able to guess what sort of vehicle a robot could turn into simply by looking at their robot form. 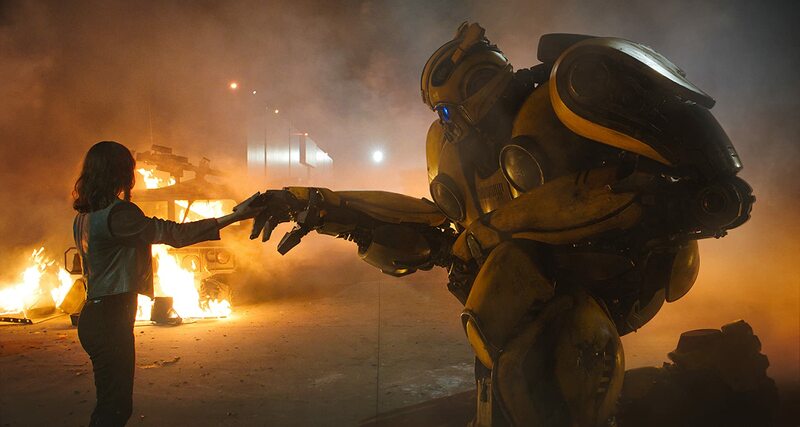 Bumblebee as a character is the absolute star when it comes to the visual effects. Watching him transform never gets old and you can always tell his emotions by the small facial expressions in his bright blue eyes or his movements from his bright yellow body. The action scenes are also very well done. We get less of big robots slamming into each other and get more of giant robots strategically fighting in order to cause damage in the same way people do. Without spoiling too much the opening scene takes place on Cybertron in the last days of the War for Cybertron, and it is without a doubt the best action sequence from a Transformers film in a very long time. Furthermore the majority of action scenes take place in daylight, from wide angles with not so much happening on screen that it becomes impossible to follow. Instead one on one battles make up most of the action which definitely supports a philosophy of less is more. Hailee Steinfeld gives a great performance as the young Charlie. 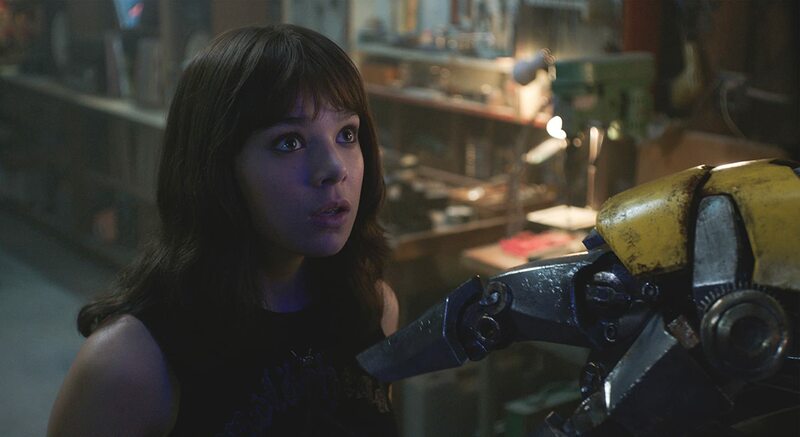 Mourning the loss of her father and isolating herself from her friends and family, Charlie finds solace in mechanics and subsequently discovers Bumblebee in a scrapyard. Her character is extremely believable and equally heartfelt. Whilst corny, it matches the tone of the film and doesn’t feel jarring at any moment. John Cena also stars as the utterly ridiculous Agent Burns. Delivering some of the most hilarious lines with a completely straight face, Burns represents where I hope the franchise aims to go with subsequent sequels. He’s cheesy and ridiculously over the top but the delivery is charming and inoffensive (two things that were entirely lacking in the Michael Bay saga) and totally works. The film is a straight up 80’s action movie with plot elements reminiscent of The Iron Giant (Brad Bird, 1999) and coming of age movies of that era. Charlie could easily have just walked out of The Breakfast Club (John Hughes, 1985) whereas Agent Burns would have fit right into a Lethal Weapon film. Bumblebee draws on the things that made the 80’s standout in terms of cinema without bashing you over the head with references to things from that era. The references are there but they have purpose within the plot and the development of the characters and therefore work very well throughout. The soundtrack alone is made up of just about every 80’s hit one can think of, and they are used in much the same way that coming of age films from that decade used them. Whilst one would expect that sort of thing to be utterly jarring and tired at this point, the charming, child friendly, nature of the film allows the whole thing to not be taken so seriously. It is a nostalgic trip and it is a very enjoyable one. One hopes this is the beginning of much better things from the Transformers franchise in terms of its live action entries. Sadly the whole franchise lost itself in the previous saga in an over saturated, mechanical mess and it certainly was the best option to strip it right down into something much simpler that is just simply an enjoyable Sunday afternoon action film. It’s not the best film ever, but it is certainly good enough whether you like Transformers or not.